It looks like Hangouts on the web is learning a new trick. 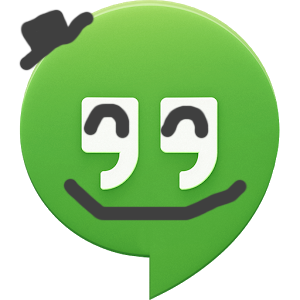 Some users are reporting that Hangouts can now sketch a message, drawing with a variety of brush widths and colors on a little scratchpad, which is sent to the user on the other end of the conversation as an image. To sketch, users need only hover over the camera icon, click on the pencil icon that appears, then draw away. Once a sketch has been sent, it can apparently still be edited, as shown in the gif below sent to us by a kind tipster. It seems this functionality is on a slow rollout, but more users have already reported seeing it since we put out feelers last night. Though it's confined to the web for now, it's easy to imagine the functionality eventually finding itself on Hangouts' Android incarnation, which would certainly spice up any conversation on the go. Let us know in the poll if you're already seeing "sketch a message" in hangouts, or if you're still waiting. Can you sketch a message in Hangouts yet? Yep, I'm pretty much Da Vinci with this thing. Thanks, Ryuuie and Ronald Morasse!